From the author of the highly acclaimed, Ignite the Fire: The Secrets to Building a Successful Personal Training Career comes a handy reference guide that answers all of your questions about personal training. From the UK to Canada, United States to Australia, and everywhere in between, Jonathan Goodman has been answering questions about succeeding in personal training to 100’s of thousands of trainers Worldwide since 2009. • Turn your job into a career by making more money both in-training, and beyond (pg 139). 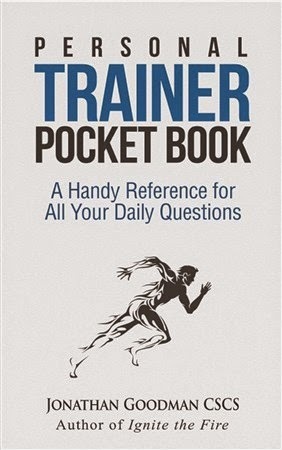 With the Personal Trainer Pocketbook by your side, you’ll never be alone again.